There is nothing more pleasing than when you receive the Results from an athletics fixture to see the name Blackburn Harriers in first position. 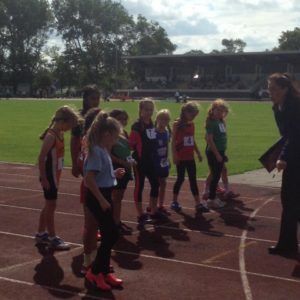 It tells you that all the hard work of the athletes and Coaches has paid off and this latest weekend is no exception with regards to our young athletes who are finishing off the season with a real bang. 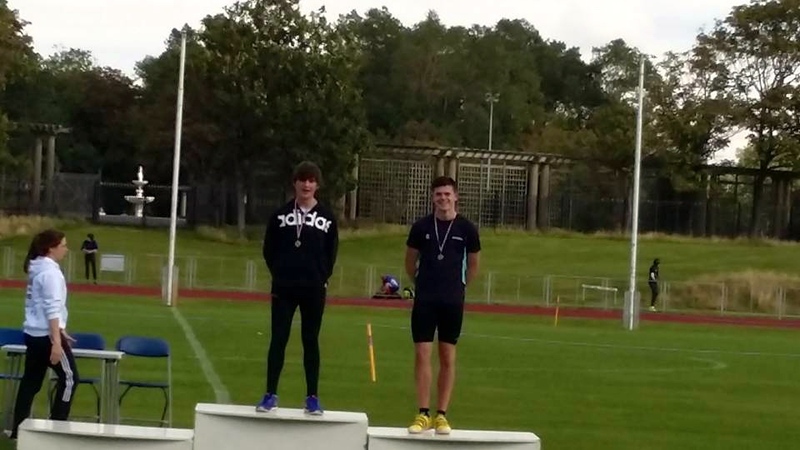 Rebecca Orrell, Jacob Roberts and Charlotte Williams kicked off their final weekend of T & F Athletics at the Liverpool meeting, competing in four events and taking two wins and two 2nd places. 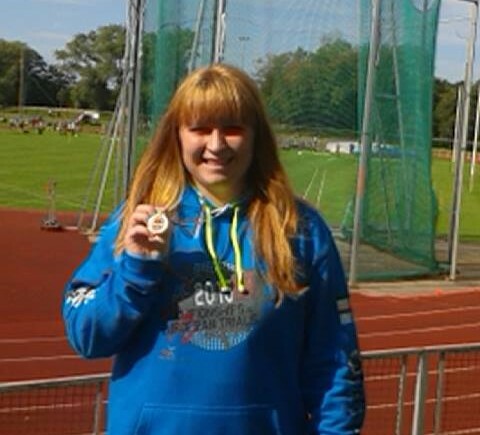 Rebecca took 2nd place in the Shot Putt with 8.41m and the win in the Hammer with a throw of 42.99m. Jacob set a new PB and a new Club Record when he took 2nd place in the Hammer with a distance of 59.18m just agonisingly short of the 60m mark. Charlie got the win on the day, again in the Hammer reaching out to 42.72m. Rebecca Orrell, Jacob Roberts and Charlotte Williams were out again the day after and were joined by U13’s Emily Raine, Amy Davies and Myah Booth along with U15 Emily Warren. and were out at the Blackpool meeting and really shone with victories, PB’s, Gold Medals and moves up the National Rankings. 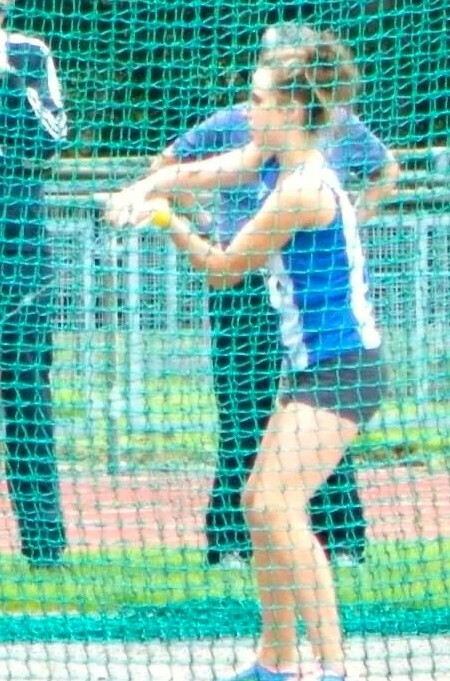 In the Hammer Charlotte Williams won the U15 Hammer adding nearly two metres to her throw from Liverpool the day before with 44.65m – a new Club Record – and the Shot Putt with a new PB of 9.49m. Charlie finishes the season for the Hammer in 2nd place in the North West Rankings and 5th spot in the National Rankings. Jacob competed in the one event at Blackpool – the U17 Hammer – and won it with a throw of 57.74m the day after he threw threw 59.18m at Liverpool which leaves Jacob 2nd in the North West Rankings and 10th Nationally. 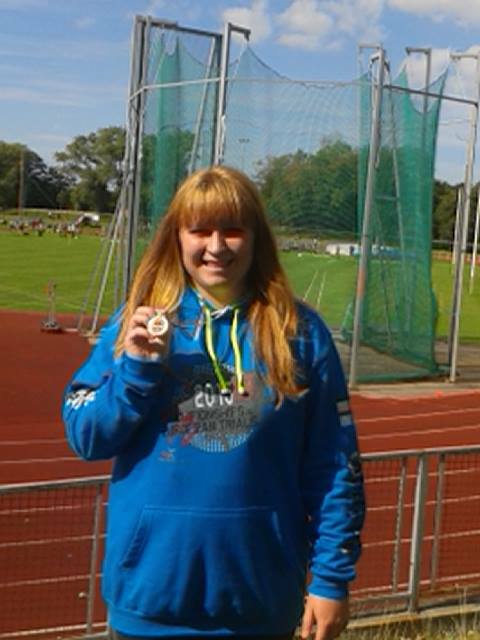 Rebecca Orrell also won her U20 Hammer event with 43.97m which was a new PB and the Shot Putt with 8.25m. Rebecca now stands at first place in the North West Rankings and 10th Nationally for the Hammer. 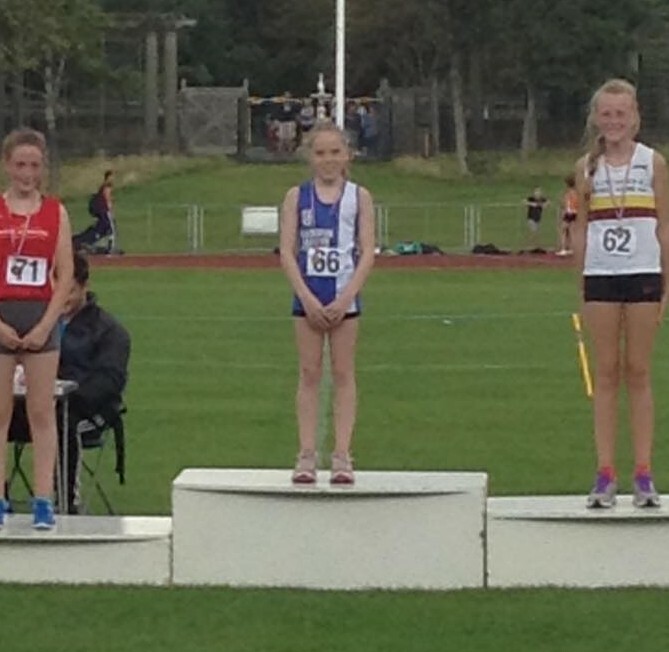 On to Track events which saw Emily Warren (U15) end her season in real style – three events – three wins. First off was the 100m won in 13.5, then the 200m won in 27.6 and polished off with a win in the 75n Hurdles (12.4). 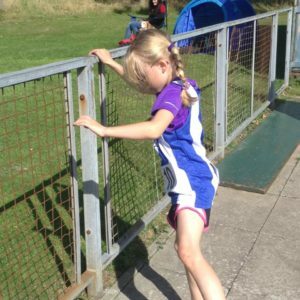 Emily Raine (u13) tackled three events the first of which was the 100m won in 14.2 then a 4th spot in the High Jump with a clearance of 1.20m and finished off with a 2nd placed new PB of 4.23m in the Long Jump. 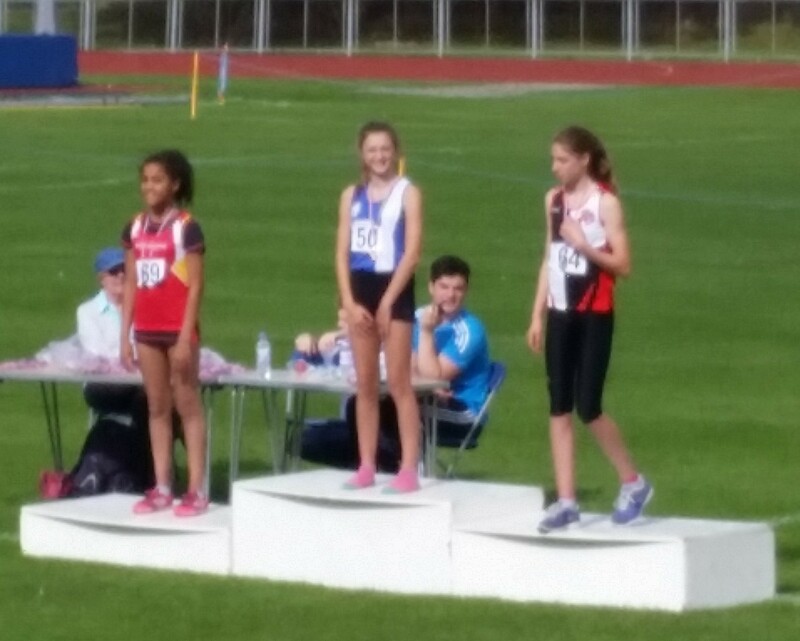 Emily’s 13.5 100m earlier in the season saw her take the Club Record in her age group by two tenths of a second. 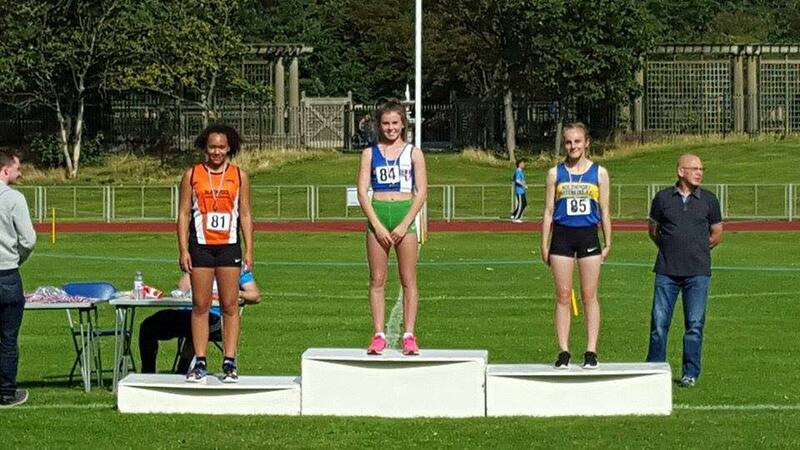 Myah Booth (U13) also entered three events taking 2nd place in the 100m with 15.9, 2nd in the 70m Hurdles (13.3) and set a new PB of 6.34m in the Shot Putt (3rd). 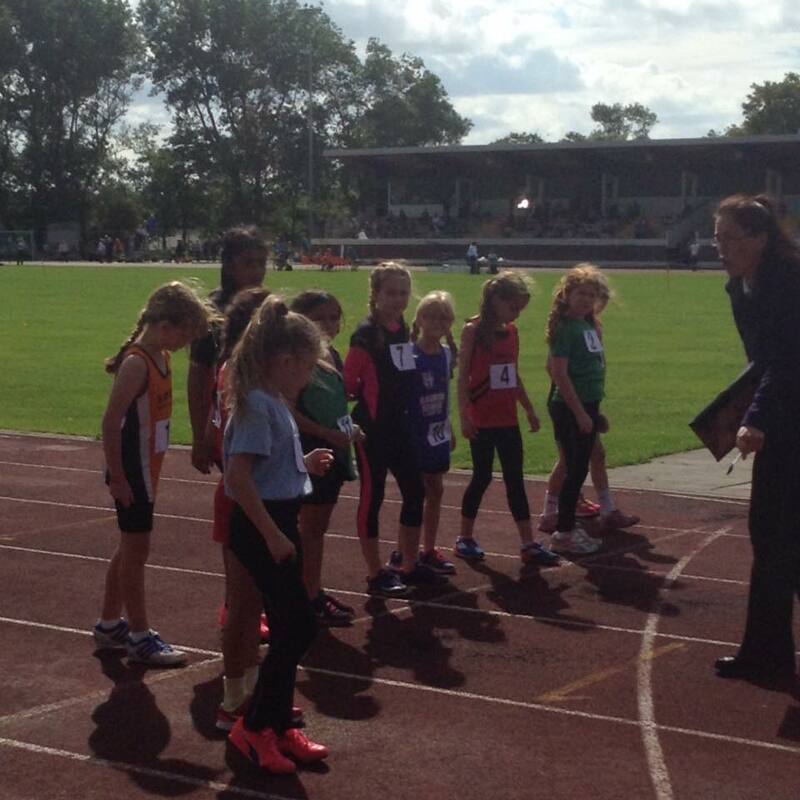 U13 Amy Davies knocked nearly four seconds off her 1500m time to record a new PB of 5.14.8 when she won the Race. Hannah Davies – Amy’s sister – also got involved but there are no results for their U8 events.